Characteristic number for the melt quality of an aluminum melt sample. 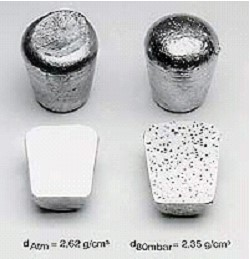 The density index indicates by how much the sample which hardened in a vacuum is lighter than the one hardened under atmospheric pressure and can be used as direct meaure for the melt water content. Since germs and oxide gasses are released during the hardening process in the vacuum desntiy test, a low density index (lower than 1 percent) refers to a very good oxide-free melt quality. 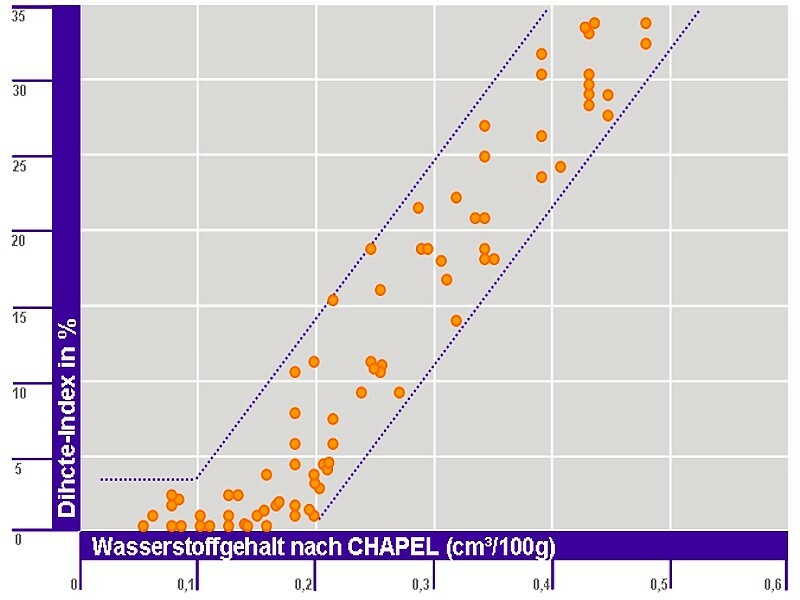 In case of highter hydrogen contents, a good density index correlation with the actual water content can be seen, e.g. how it can be determined on the basis of the Chapel process (Fig. 2).